Make every apple count and leave nothing to waste. 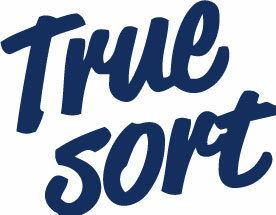 Why choose TrueSort™ for apple grading? TrueSort™ software is fast and accurate and enables you to sort apples at a speed of 12 units per second per lane. While yielding high productivity and accuracy, it will allow you to open new markets and get premium prices for your product. Our technology is designed to reduce packing costs and making your packhouse more efficient. Choose Ellips, and we will revolutionize your business. Our vision system is designed to operate on virtually any manufacturer’s sorting equipment. This enables you to select the appropriate grading machine or to retrofit your existing sizer. Our TrueSort™ IQ system utilizes full transmittance technology to assess the internal quality of the apple. 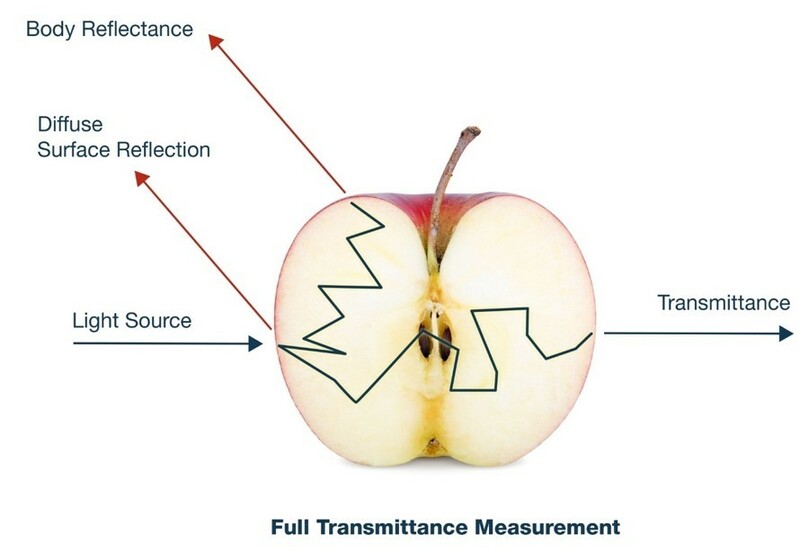 Light passes through the apple as the fruit travels through the sensing area. Our software analyses the spectral data (i.e., frequency and intensity) and detects internal browning, water core and other internal defects. Testing and operating results have proven that our internal quality performance is superior to the competition and performs well on apples regardless of size or variety. TrueSort™ quality module helps you improve the quality and consistency of the packed apples while significantly decreasing manual sorting costs. How many rotten spots does an apple have? What percentage of the apple is rotten – and what is the most rotten spot? Our HD cameras enable better visual identification of the fruits shape and context. TrueSort™ accurately finds characteristics such as the crown, stem, molds, bruises and scratches. Our grading technology allows customers to quickly establish “variety specific” grading parameters that provide consistent detection of the most prevalent external defects (i.e., bruises, limb rub, russet, bird peck, sunburn, bitter pit, flecking and punctures). Once the defects are identified, our grading software sorts the apples into various grades (i.e., premium, second, peeler, cull, etc.) based upon threshold values established for defect severity, count or area. 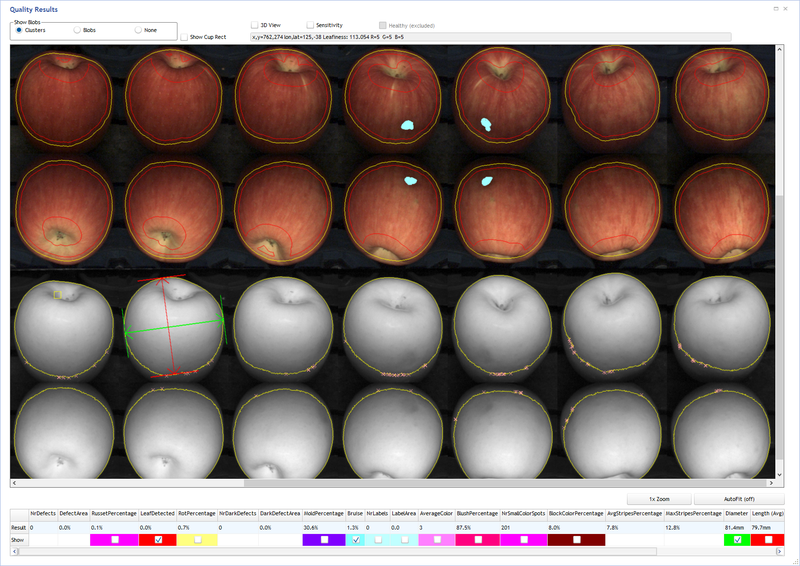 Using the TrueSort™ colour module, you are able to determine the colour on which you want to grade the fruit (for example, the percentage of blush on an apple), based on live feedback from the HD+ cameras. Images from multiple cameras at various angles can be combined in order to view the entire surface. The characteristics of the apple, therefore, are calculated based on as much information as possible. 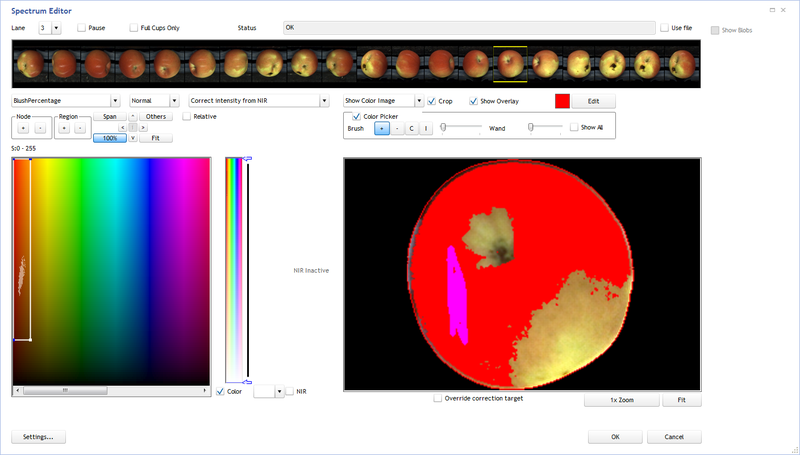 Ultrafine colour separations are obtained through our intuitive software that enables operators to quickly create or modify colour profiles. 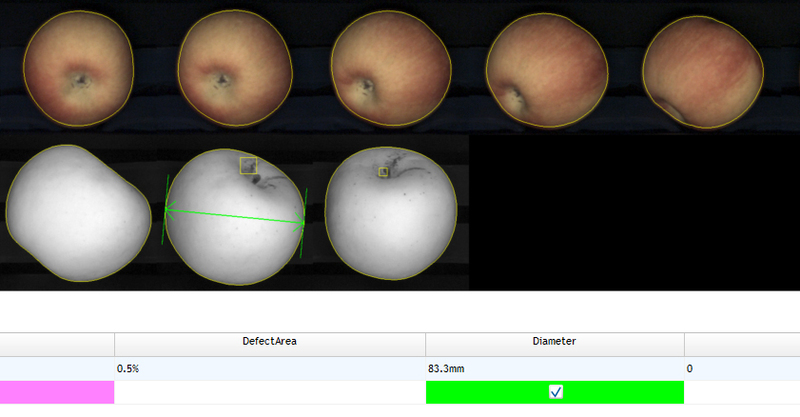 To measure the entire surface, the apple is rotated under the camera and 10 images are taken of the same product. This permits you to calculate the diameter (with an accuracy of 0.1mm), length and surface area. Defects in shape or position of 2 products in 1 cup or roller can also be detected. The weight of each apple can be measured on a cup system with built-in weighing system. On roller systems, weight is calculated by volume. 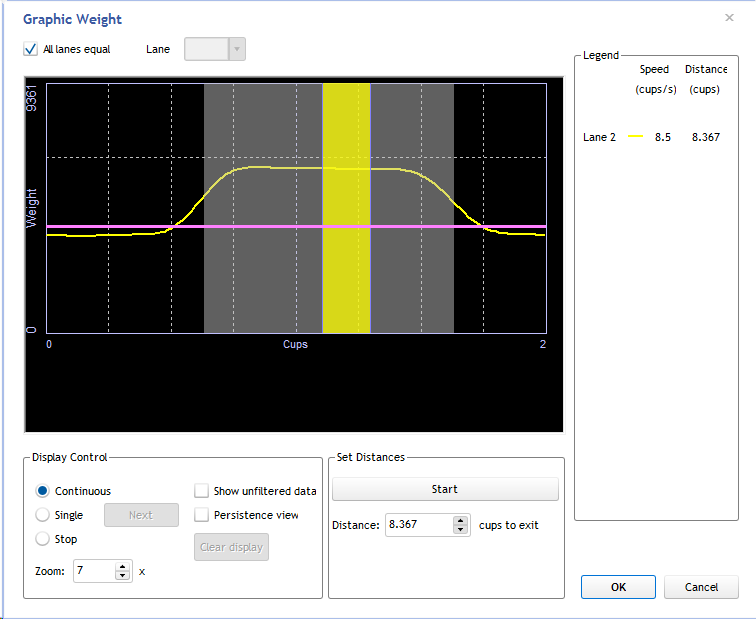 Accurate weights (deviation of 1 gram) are possible, even at high speed (up to 15 cups/second). Factors such as temperature differences and dust accumulation throughout the day are automatically taken into account. Grading with an Ellips equipped system ensures each apple to end up at its rightful destination. Quality guarantees will help you opening new markets and customer satisfaction is improved with on-time delivery of products. So why wait? Start next level grading today!